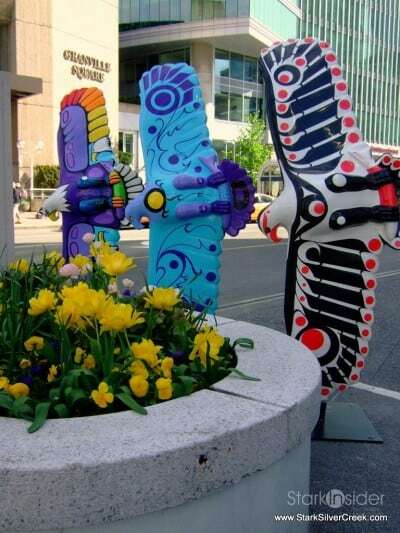 Each Bald Eagle is composed of fiberglass and stands just over seven feet tall. 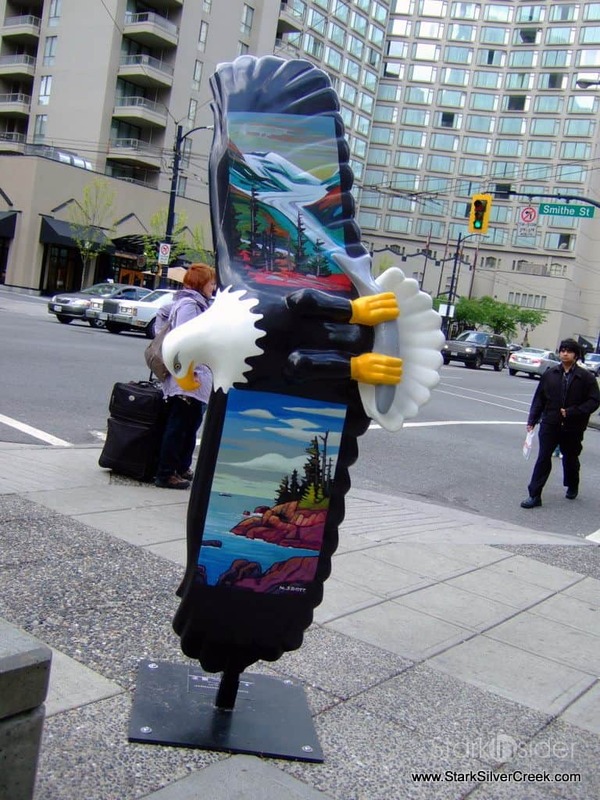 The Eagles have landed in Vancouver — not just on the banks of rivers to scoop up tasty salmon, but on the streets of Vancouver and Victoria. 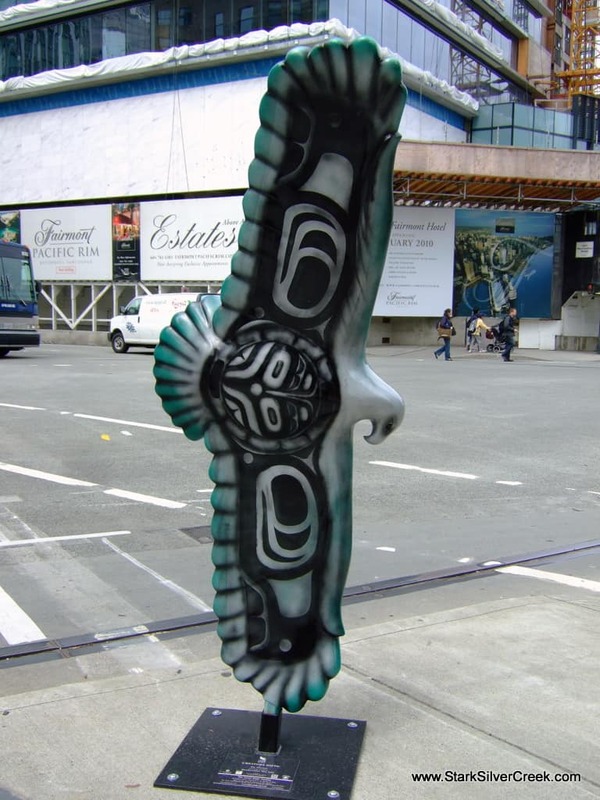 The first painted Bald Eagle we saw in Vancouver stopped us in our tracks. 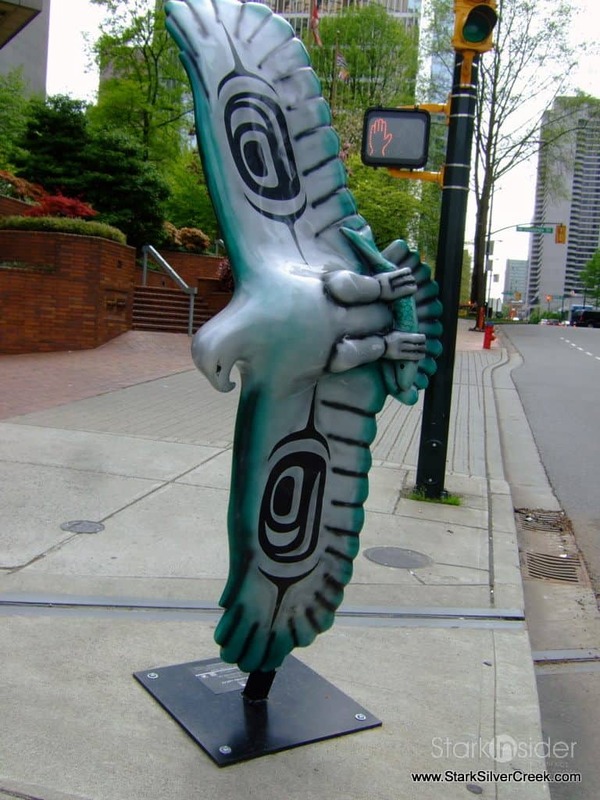 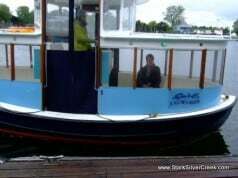 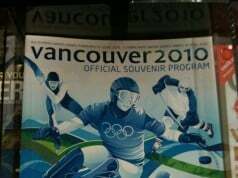 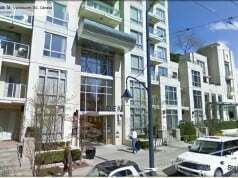 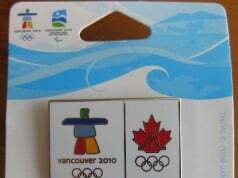 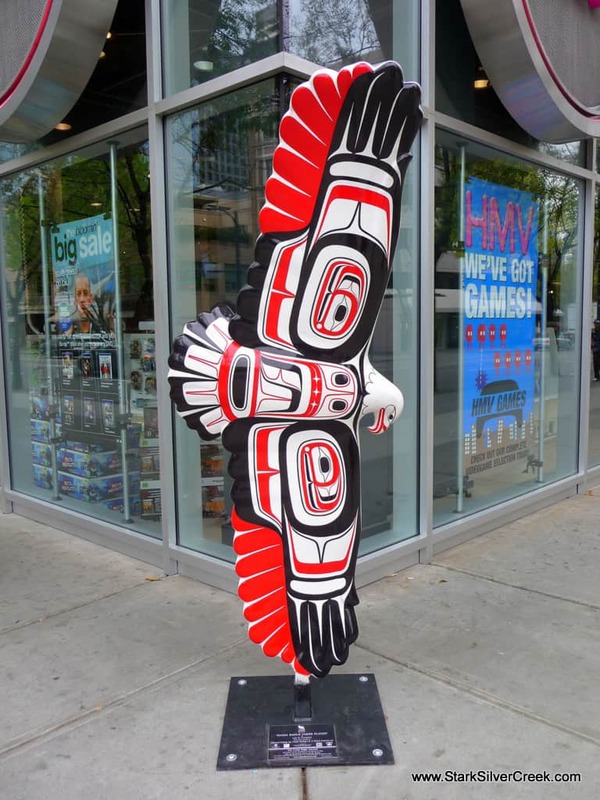 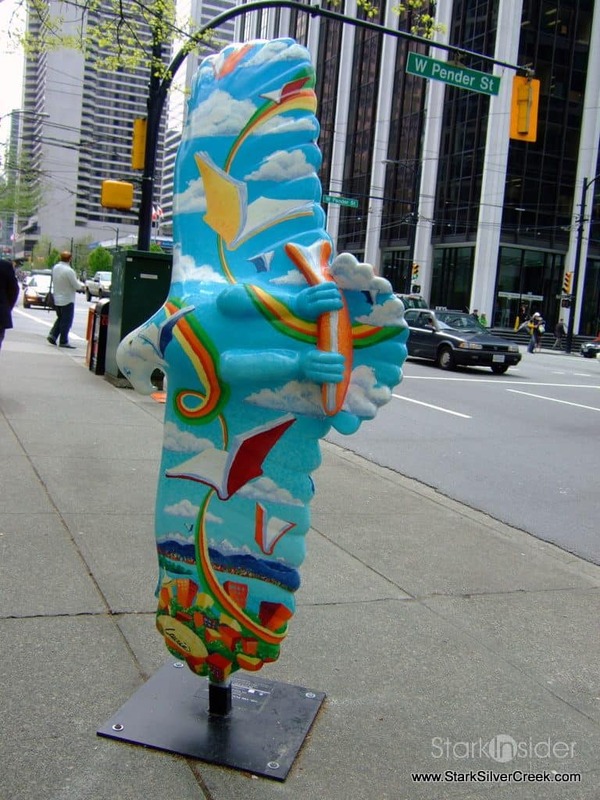 The second and third made us realize that Vancouver was displaying community art in a unique way. 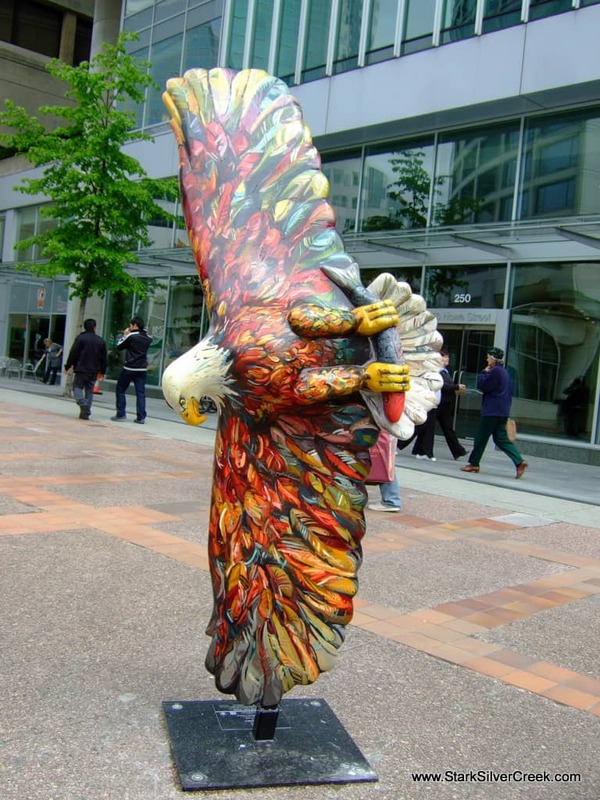 Each Bald Eagle is composed of fiberglass and stands just over seven feet tall. 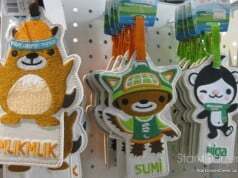 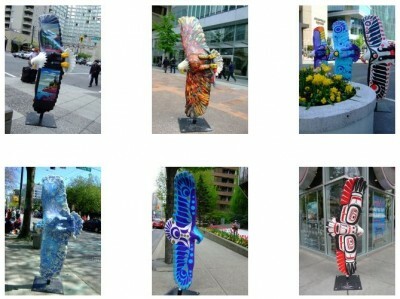 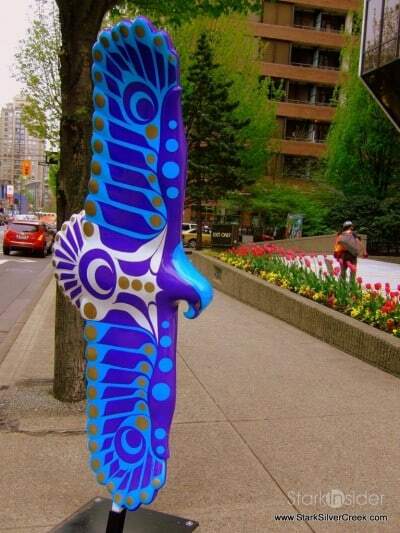 Each is painted by individual artists and displayed at prominent public areas throughout the city from April 2009 to April 2010. 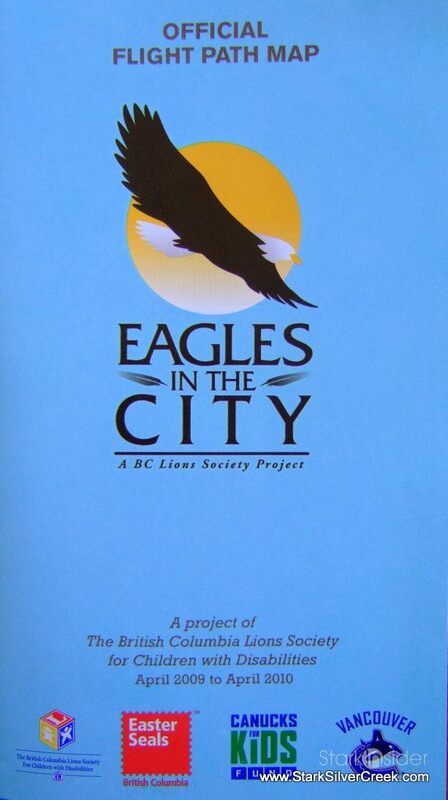 Eagles in the City will continue to soar until after the Olympics and then will be auctioned as a fund raiser for local charities.